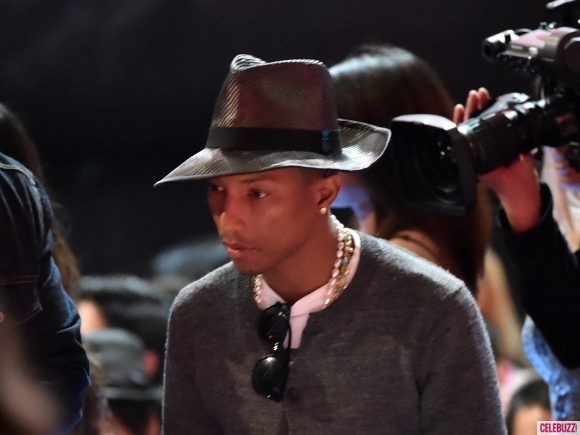 This past week has been a big one for your favorite celebs. 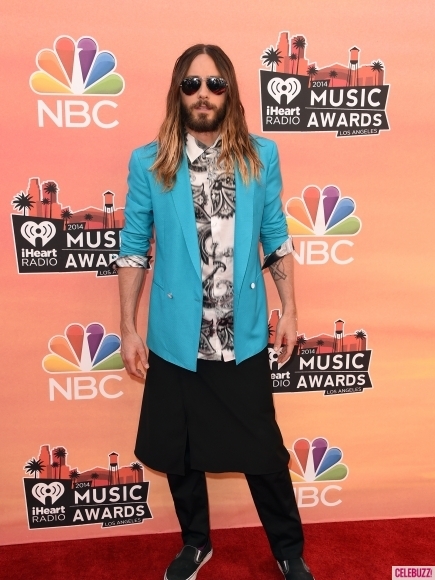 It all started last Thursday at the iHeartRadio music awards. The White House Correspond Dinner and the Kentucky Derby followed over the weekend, and the Hollywood stars finished strong at the Met Gala on Monday Night. 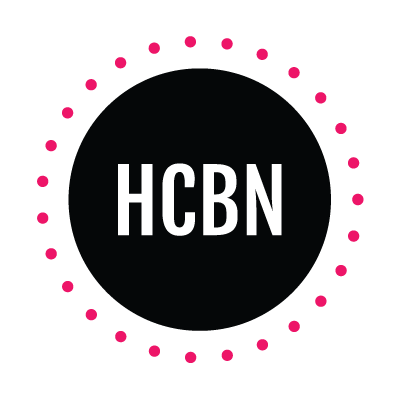 I have a feeling the Met Gala will be filled with enough fashion and celebrity news for it’s own post, but for the best looks and drama from iHeartRadio, the Kentucky Derby and the White House below. Selena Gomez was spotted looking healthy and drama-free despite all of the rumors circulating about her. While she skipped all press at iHeartRadio, she’s rumored to be making an appearance at the Met Gala tonight, and we can only hope asks her about the Biebs. 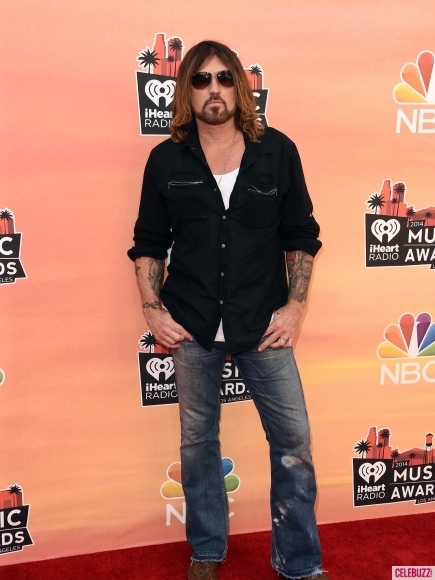 In other news, Billy Ray Cyrus (who accepted an award on Miley’s behalf for Wrecking Ball— I wonder if picturing his daughter swinging naked on that wrecking ball made that awkward?!) and Jared Leto could be twins. 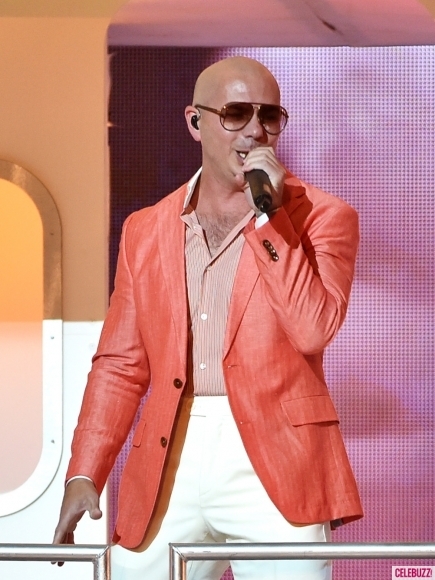 Plus, Pharrell finally changed his hat (not that this one is much better) and Pitbull hit a fashion low and wore a blazer much more suited for Serena van der Woodsen. Elsewhere on the red carpet, Hilary Duff looked gorgeous and gushed about her upcoming TV show and record… AKA the only way to tell it’s not an old interview from 2004 is her hair isn’t crimped and Giuliana Rancic asked about the end of her marriage (it’s hard to believe Lizzie McGuire is old enough for marriage, let alone divorce). Hilary explained she still hangs out with her ex with (and without!) their son Luca, and their future together is “unknown.” Fingers crossed those two work it out. Bonus points because Hil & G both rocked black. Ariana Grande made headlines for her performance and reactions to that same performance by Blake Shelton and Luke Bryan. 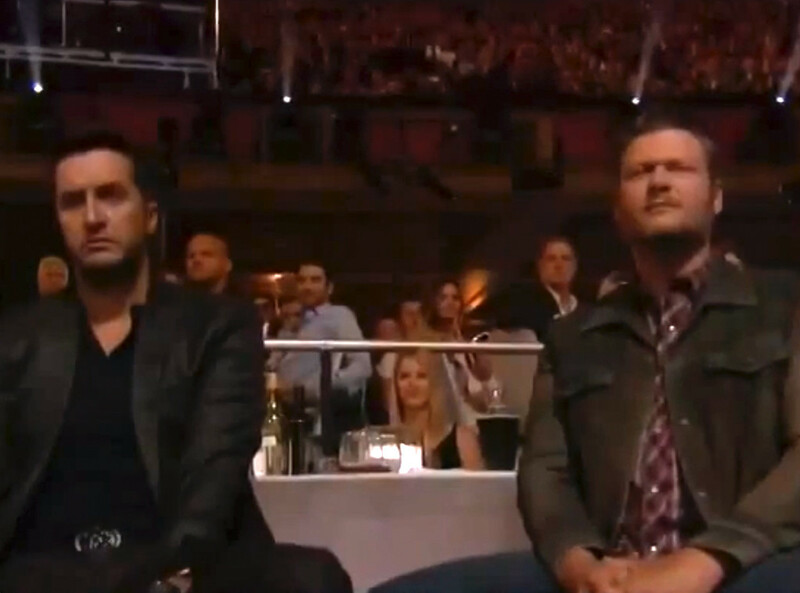 the two country singers looked confused and unimpressed while the singer was dancing. Ariana was also in the news for reportedly kissing and holding hands with her ex Jai Brooks backstage. And finally, Rihanna won most of the awards and looked like an alien doing it. At the Kentucky Derby country singers Miranda Lambert and Laura Bell Bundy looked gorgeous. The way they rocked those hats makes me think they should quit their day jobs and head for England to befriend Kate Middleton and makes hats a permanent part of their wardrobes. The public got a rare sighting of the late Anna Nicole Smith’s daughter, Dannielynn, and a glimpse at Pete Wentz with pregnant girlfriend Meagan Camper. 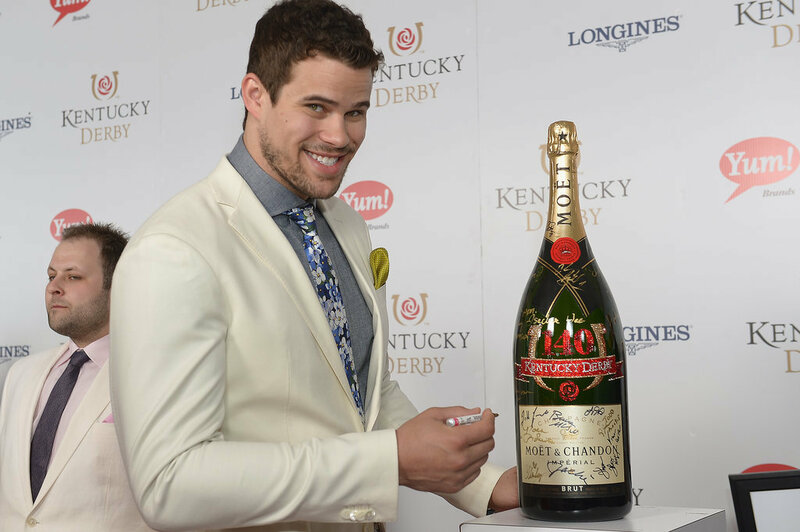 The ex Mr. Kardashian (aka Kris Humphries) was also at the Derby, and made me wonder if he can go places without being boo-ed yet. Quarterback Tom Brady also made an appearance, and his choice to wear navy and black together reminded me why I’m not a Patriots fan. While Olivia Pope couldn’t make it to the White House Correspondence Dinner (since her alter ego Kerry gave birth a few weeks ago— welcome to the world Isabelle Grant Asomugha), her Scandal costars took over the red carpet in reds and greens. 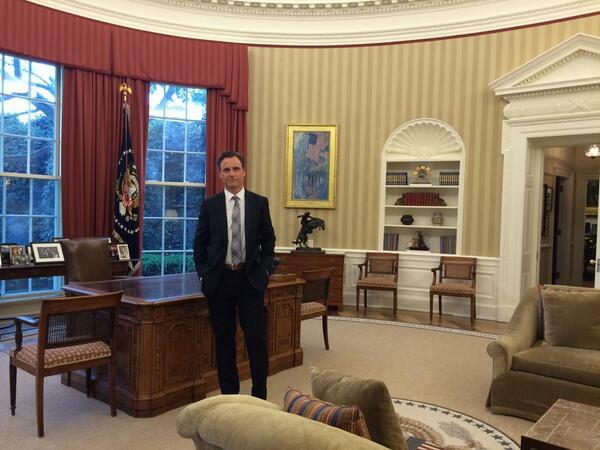 Prez Fitz was also present, and even posted a picture in the Oval Office a few days earlier. People’s Most Beautiful (and rightfully so!) Lupita Nyong’o stunned in black and white polkadots and a bright pink lip— let the year of Lupita continue! Mother of 2 Jessica Simpson looked better than ever in her version of a black and white gown, and was living proof that Weight Watchers works. Two ladies who opted for navy instead of black and white, Kristen Bell and Taylor Schilling, were blonde beauties on the carpet. Kristen’s gown is more princess-esque and made me want to rewatch Frozen for the 17th time, while Taylor’s tight dress made me excited for Orange is the New Black to return in only 31 days (not that I’m counting).